True experience: With years of experience in the field, our staff can provide you the assistance you need to get the smile you’ve always wanted. Beyond simply cleaning your teeth, we utilize the latest tools in the industry to provide you the best quality results whether it’s full mouth rehabilitations, crowns and bridges, veneers, implant restoration or something else. The best service: When you need a root canal, dentures, whitening, gum treatment or something else, you want to know that you are in good hands. We do not believe in offering a service unless we can perform it with the highest of quality. Additional options: Because helping you have a beautiful smile has been our goal since day one, we’ve added additional services including facial cosmetics. Whether it’s Botox, chemical peels or something else, we will help you acquire that younger, fresher, healthier look you’ve been wanting. Remember, it’s not just about selecting the best dentist Miami Beach FL, it’s about making sure that the dentist near Miami is ready to assist you with whatever you need to have the best possible oral health. Sometimes, that means more than just cleanings and our office is equipped to handle everything from root canals to gum treatments and more. As your leading dentist in Miami Beach, we will work with you for short-term and long-term results and show you the keys to having a healthy mouth, especially with what you are doing in-between visits. 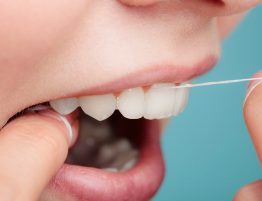 In-between visits to your dentist in Miami, you should be brushing your teeth twice a day, flossing at least once and making sure you clean your teeth after every meal. Mouthwash is also a valuable tool in fighting plaque and germs and should be done whenever you brush and/or floss as well. 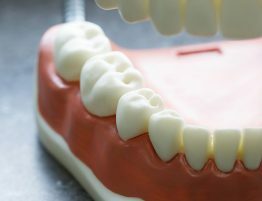 If you are thinking about using any products that are more invasive, you should consult your dentist in Miami FL, to make sure that it’s a safe and effective option. While it’s nice to have more options that you can do yourself from home, it cannot replace the treatments you will get from the best dentist in Miami Beach. That’s why you do not want to try and substitute one method of treatment for another, but rather use all methods to maintain and improve your oral health. Dentists in Miami FL agree that the best thing for any patient to do is to develop healthy and reliable habits that are completed at home, while coming in for frequent cleanings and checkups. An affordable dentist in Miami should be visited at least twice a year for routine cleanings as well as have an x-ray conducted at least once a year. An affordable dentist in Miami doesn’t necessarily charge less for their services. What they do is they work with you to find affordable ways of keeping your oral healthcare costs low. For example, what can you be doing at home with different products and treatment options that will help you keep your mouth healthy and clean? Dentists in Miami FL will work with you and your family to go over what you need to have done inhouse, and what can be done at home including ways of lowering the chances of gum disease, plaque development and more. What products would a dentist near Miami recommend for you to get whiter teeth? If money is tight, they can help you during an office visit to get started and then go over things you can cut out of your diet or add to your routine that will help to keep your teeth looking white and clean for a longer period of time. 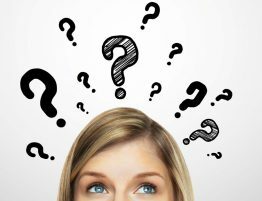 With so many products and treatment options on the market, your biggest concern is knowing which ones work the best. At some point the costs don’t even matter, you just want to find something that works and doesn’t require hours of treatment each day. We understand this confusion and frustration and will provide you with clarity and a game plan to get exactly what you want. Dr. Dison dentist in Miami FL will help you to achieve the beautiful smile you’ve been looking for, for years. We are more than happy to assist you with finding the best products and treatment options that will be cost-effective and still give you great results. Contact our offices today to schedule your appointment and stop waiting to get information about your oral care. Let’s work together to get you a clean, healthy and beautiful smile you can’t wait to show off. 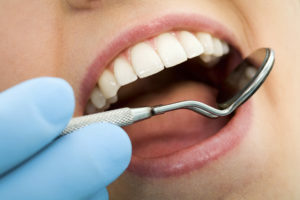 What makes Dr. Julia Dison the best dentist in Miami Beach FL is our dedication to the patient. We will do what it takes to provide you with the best service possible which is why when you need a dentist Miami Beach FL, we are the team to call. Visit our site to schedule an appointment.